Do you remember the drink Orange Julius? 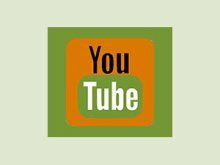 It used to be popular in the 80's, but I am not up-to-date if its still a current American trend as my diet has changed significantly since then. I remember it as a much loved beverage sold in shopping malls across America when I was a teenager. Well, now you can make this sweet, frothy orangy drink that's way better than the drink I knew in my childhood. It doesn't exactly turn out "orange" the way we make it. So, more appropriately should be called "green" orange julius or chickweed julius I like even better. This is one of those tricks I learnt from an Herbalist teacher that continues to be a tradition every spring after my first chickweed harvest. 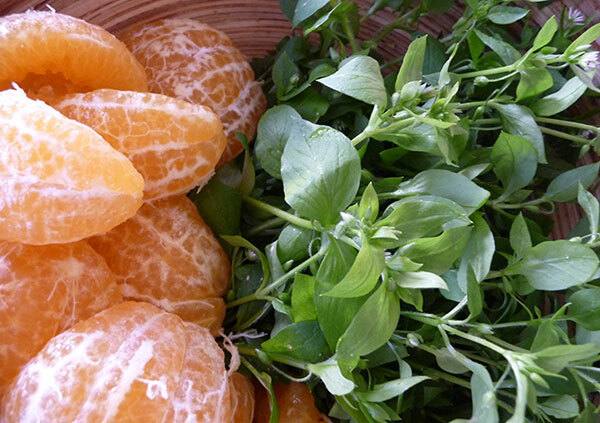 Since California oranges are since in season when wild chickweed starts to pop up, it makes the perfect marriage of sweet citrus and wild green nutrients. 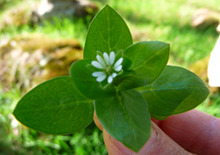 Chickweed is one of those wild edible plants that contains sapponins. When sapponin rich foods are blended they froth up similar to the consistency of eggs in the common Julius recipe. 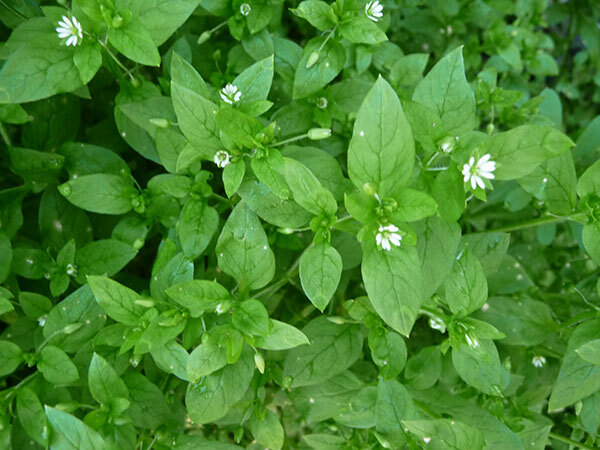 Chickweed is known to be excellent for the cleaning and purifying the lymph and blood. So, it is great to eat as much as you can while it is in season. 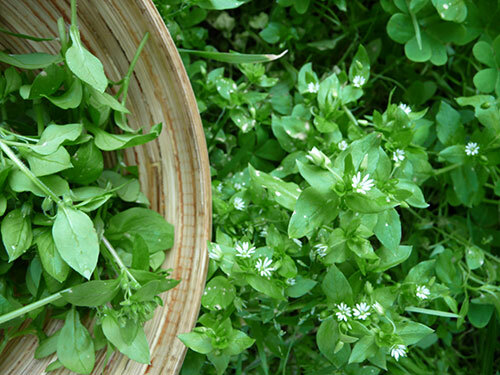 The thing about chickweed is that it has a really "wild green taste", so you want to camouflage the flavor a bit if you are consuming a lot of it at once. This orange julius recipe is a great way to do that. According to Susun Weed (author of Healing Wise), chickweed is very high in copper, iron, magnesium, manganese, silicon and zinc. 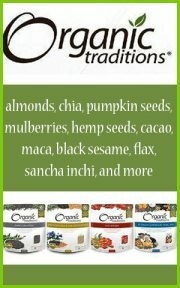 It is high in calcium, chlorophyll, phosphorus, potassium, protein, Vitamin A and fat. And it is a good source of Vitamin C, riboflavin, niacin, thiamine and plant sodium. 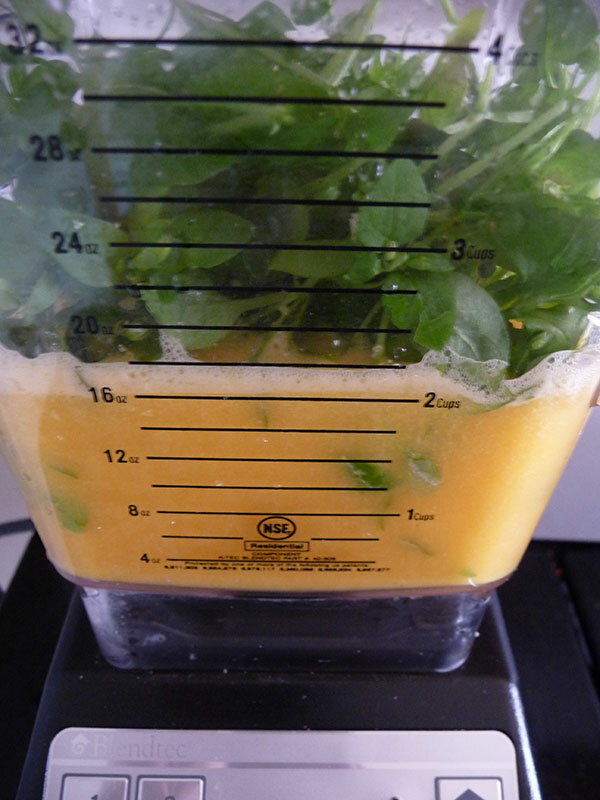 A chickweed orange julius can be a drink when you are coming off a juice fast to gently give you a bit of wild fiber content. Or you can also juice chickweed straight into juicing recipes that give you some wild nutrients you can't buy in a store. Make the orange juice first by blending oranges in a blender and straining the juice through a nut milk bag. 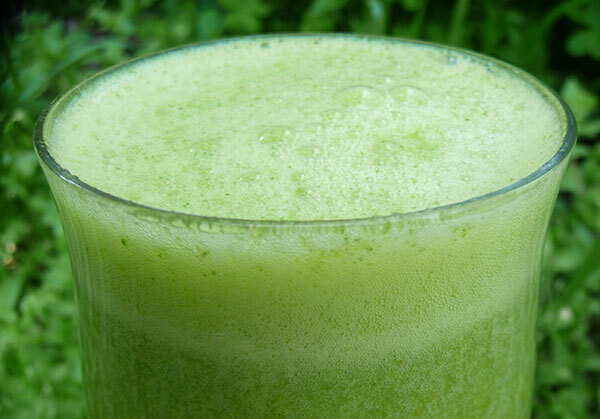 If you are unfamiliar with this process, see our juicing with a blender page. Blend the above in your Blendtec until frothy good! 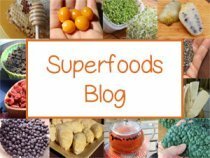 I like adding a little aloe vera in with this recipe to add additional cleansing benefits that provide polysaccharides for digestive and colon health. Try to harvest your own oranges, usually they are in season at the same time, in fact chickweed often can be found growing at the base of the orange tree. When wildcrafting wild plants always use an edible plant guide if you are at all unsure of what you are harvesting.